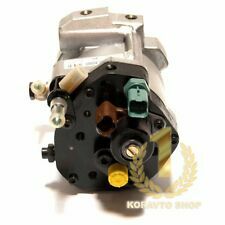 SsangYong Rexton RX2702.7 XDI 01-06'HIGH PRESSURE FUEL PUMP A6650700101 / 3.401.026 / R9044Z051A / 9303-104B, AS PICTURED. MAKE AND MODEL: SsangYong Rexton RX270 2.7 XDI SE ESTATE. IS FREE INCLUDING SCOTTISH LOWLANDS. A6650700101, R9044Z051A, 0607365FYE. Ssang Yong Rexton 2006 Kraftstoffpumpe A6650700101 Diesel 121kW GPAC10190. Ssang Yong Rexton, suv. Part Numbers The part is used. Der Gegenstand ist voll Funktionstüchtig, kann aber unter Umständen Gebrauchsspuren aufweisen. 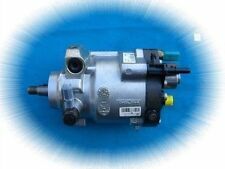 2001 2002 2003 2004 2005 2006 SsangYong Rexton 2.9 Diesel OEM Fuel tank sender Pump Complete Assy Genuine OEM Parts. 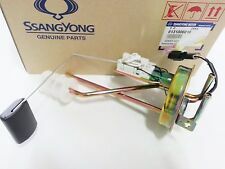 Fuel Tank Sender for 200 2 -2006 SsangYong Rexton 2.9 Diesel. 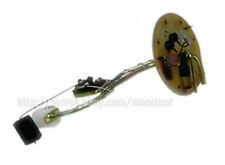 Fuel Tank Sender for 2002-2006 SsangYong Rexton 2.9 Diesel. Check the exact parts numbers for your vehicles what you need. It is th fastest way to settle your concern or issue. We are willing to respond to your inquiry. UNITED KINGDOM. UNITED ARAB EMIRATES. U.S.A VIETNAM ZAMBIA. Compatibility : Korando KJ (New Korando) 1997-2005. SENDER ASSY - FUEL TANK (1PC). ▣ T ax &C ustoms. ▣ R eturn &E xchange Policies. Other Countries. DELPHI: 9044A162A. ACTYON, KYRON. It can be very different. So the final price for rebuilt injector or pump is a sum of used item price spare parts price labor. PROUDLY REMANUFACTURED. Q : What is the difference between remanufactured and refurbished and what is better?. Remarks : W155. 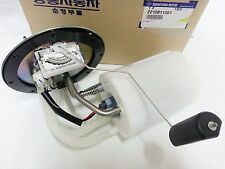 Item Title : OEM GLS Fuel Pump Sender ASSY Ssangyong Chairman (W155) 4/03/2005 #2212011301. Compatibility : Chairman (500S; 500L; 600S; 600L)14/03/2005 # 2212011301. PUM ASSY - FUEL (1PC). DELPHI: 9044A162. ACTYON, KYRON. It can be very different. So the final price for rebuilt injector or pump is a sum of used item price spare parts price labor. PROUDLY REMANUFACTURED. Q : What is the difference between remanufactured and refurbished and what is better?. ACTYON, KYRON. DELPHI: 9044A051A. It can be very different. 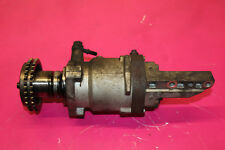 So the final price for rebuilt injector or pump is a sum of used item price spare parts price labor. PROUDLY REMANUFACTURED. Q : What is the difference between remanufactured and refurbished and what is better?. Compatibility : Chairman (400S; 500S; 500L; 600S; 600L) 01/10/1998 -08/02/2002. PUM ASSY - FUEL (1PC). ▣ C ontact Us. - It is the fastest way to settle your concern or issues. - We are willing to respond to your inquiry. 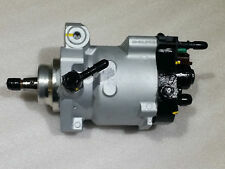 Item Title : OEM GS Fuel Pump Sender ASSY Ssangyong Chairman 15/06/2004 - 28/10/2005 #2212011201. Compatibility : Chairman (400S; 500S; 500L; 600S; 600L) 15/06/2004 -28/10/2005. PUM ASSY - FUEL (1PC). ==============================================================. This is South Korea. It is th fastest way to settle your concern or issue. We are willing to respond to your inquiry. UNITED KINGDOM. UNITED ARAB EMIRATES. Model -REXTON. We always respond! Any problem could be resolved with our support team, we always will do our best that both sides would be happy. If you are satisfied with your item positive would be appreciated! Kia New Pride. MALAYSIA NEW ZEALAND PERU. This is South Korea. It is th fastest way to settle your concern or issue. We are willing to respond to your inquiry. UNITED KINGDOM. UNITED ARAB EMIRATES. U.S.A VIETNAM ZAMBIA. Código interno: 1727642. Referencia : 6650943048, Observaciones: Bosch. 2.7 turbodiesel cat 163 cv. Wir können es überprüfen. Nous pouvons le vérifier.